A talk with a publisher about the material in the Bowden Archives and Other Marginalia becoming a book, it was suggested that the proposed book would work best as a book if it were cut down to The Bowden Archives. The non-Bowden material will go to the Adelaide book, which has been on the back burner. The focus on Bowden tightens the manuscript, which was starting to become unwieldy, and the simplification makes the focus of The Bowden Archives more centred around history and place. I have spent the last week going through the 35mm negatives of Bowden, and scanning the best of them. An example of the pictures in the initial historical section of the Adelaide book would be these two pictures of the Port River estuary in this post. 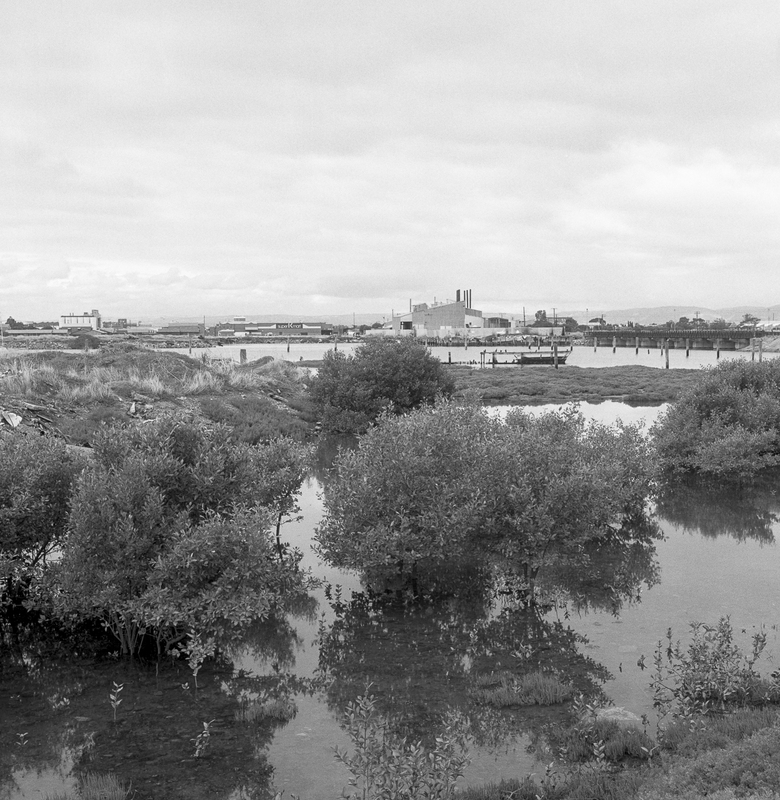 The first picture of the mangroves are a reminder that Port Adelaide in the early 19th century was once basically a mangrove swamp and marsh surrounding the Port River. Tides and drainage would continue to be major issues for residents until the first half of the 20th century. The embankments along the river formed a basin within which the early residents worked and lived, but not without some fear. While the embankment kept the River at bay most of the time, the banks could be breached by a high tide. The basin shape meant that any water, even rain, pooled in the town with no drainage outlets. The deepening of the shipping channel provided silt to strengthen the existing embankments and fill in the basin, but it would not be until the 1930s that the majority of Port Adelaide’s drainage issues would be brought under control. 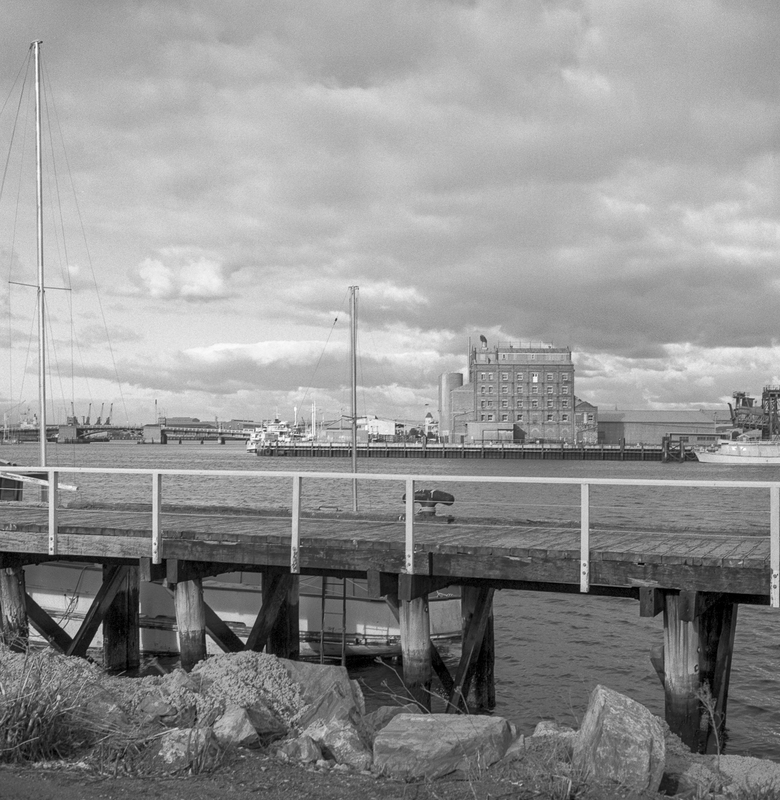 The economic downturn in Port Adelaide started in the 1970 due to containerisation. The history of the 1930s working class battles on the Port Adelaide waterfront were a distant memory. Port Adelaide was becoming an urbanscape dominated by empty warehouses, closed pubs and under-utilised shops. By the late 1980s the search was on in the Port Adelaide area to create much needed employment at a time of significant economic recession and urban renewal started to come to the fore to redevelop the Port Adelaide waterfront. The renewal in the first decade of the 21st century threaten the Port’s maritime character and heritage.